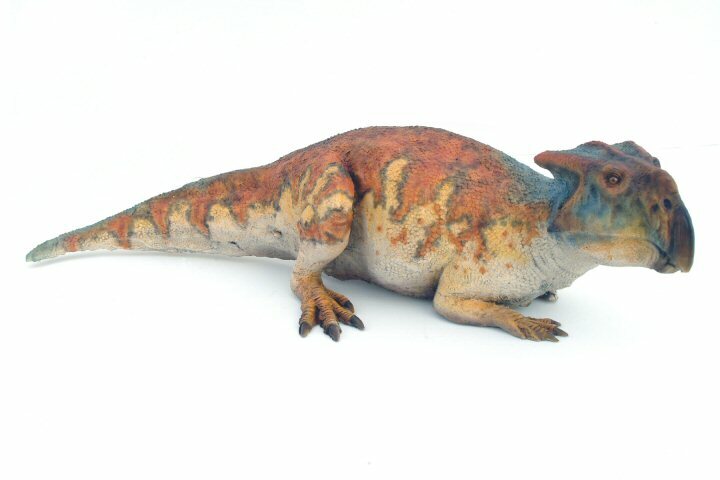 Bagaceratops, a herbivorous (plant-eating) dinosaur, moved about on all four limbs (quadruped), was one of the typical members of Protoceratopsids that lived in Mongolia. 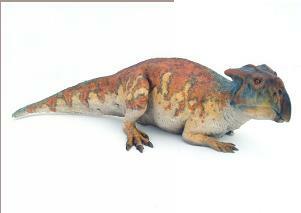 This smallest Protoceratopsids is considered as a primitive ceratopsians. However, it already had a slender frill at the back of the skull and a small horn on the snout which later became more remarkable in more advanced, huge, horned dinosaurs of North America, the ceratopsids. 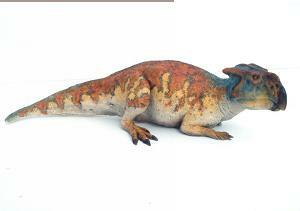 Bagaceratops already lost upper jaw teeth as well, but its cheek teeth and sharp beak indicate that it fed on tough-leaved vegetation.